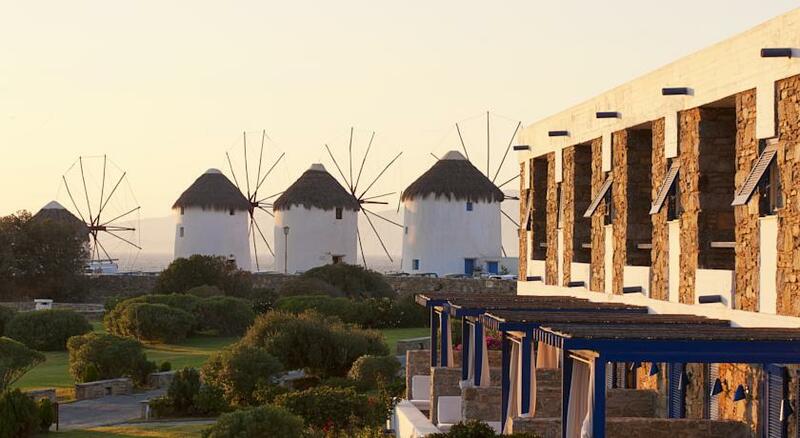 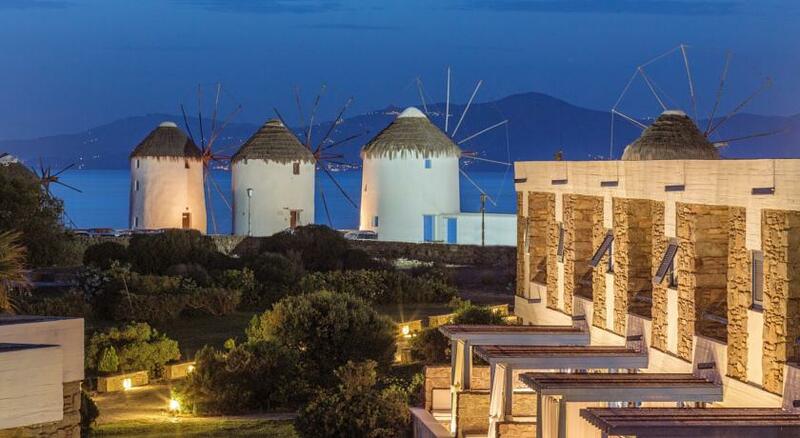 Mykonos Theoxenia an oasis of serenity and luxury, ideally located next to the wind mills, landmark of Mykonos only a stone throw away from the unique glamorous Mykonian life style, picturesque Little Venice and the narrow pebble-stone shopping streets of the town. 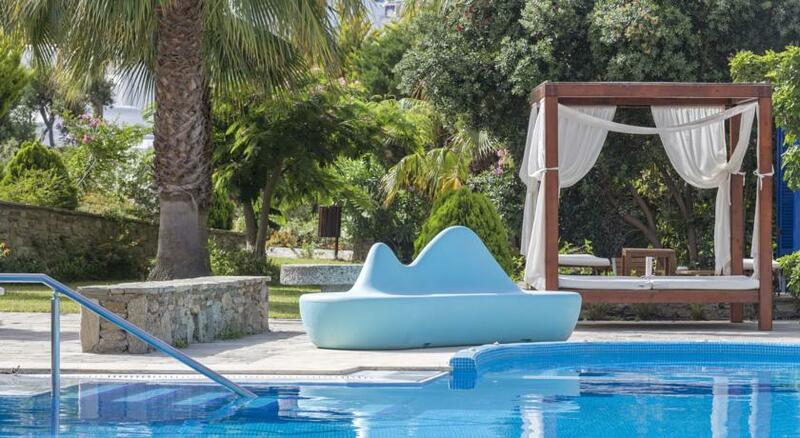 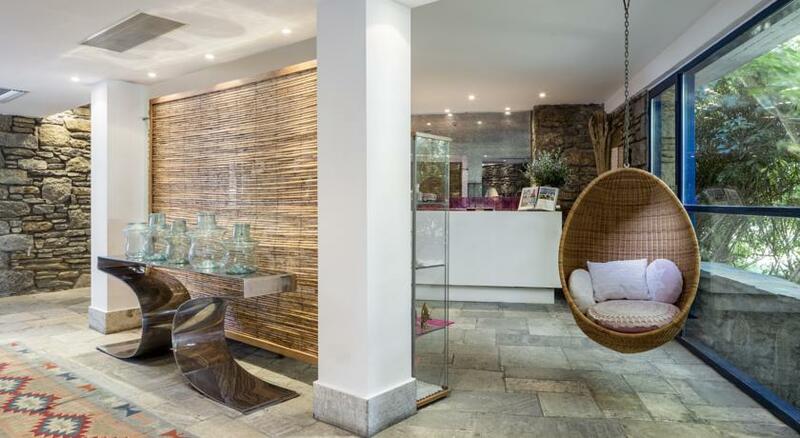 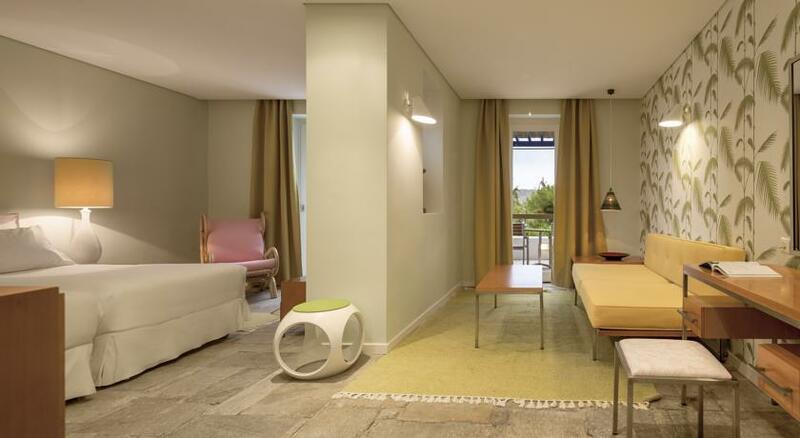 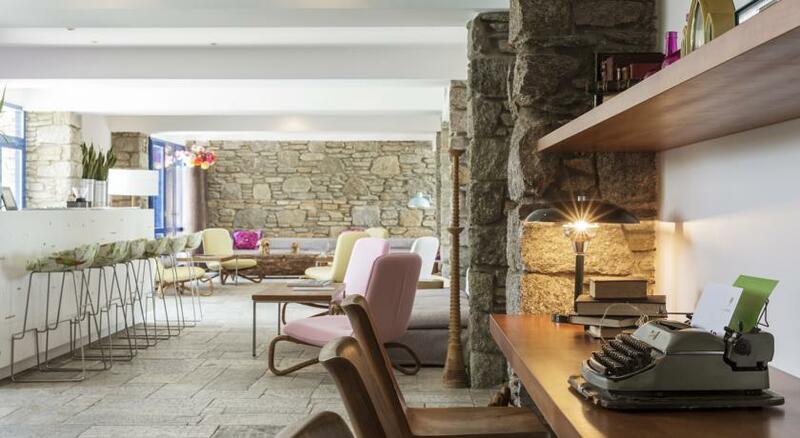 This hotel has been inspired and built in the 60's by the highly acclaimed architect Aris Kostantinides, and it has been characterized by the Greek Ministry of Civilization, as a national preserved property for its innovative style and architecture. 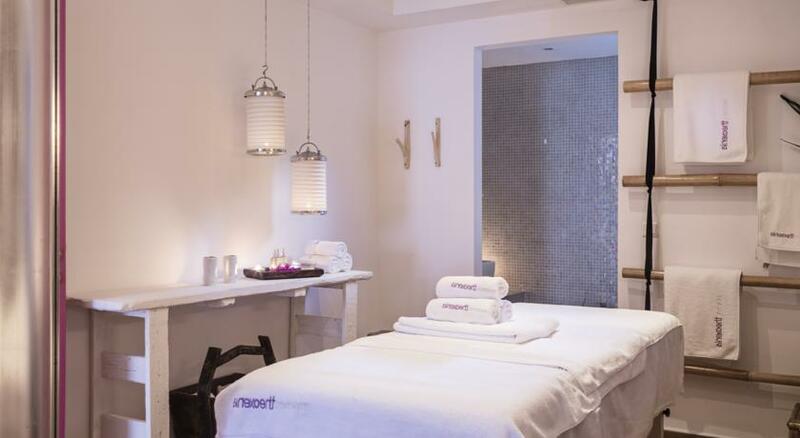 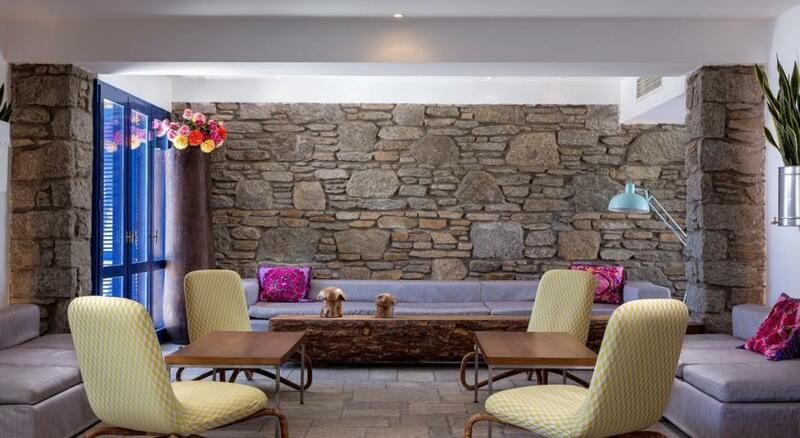 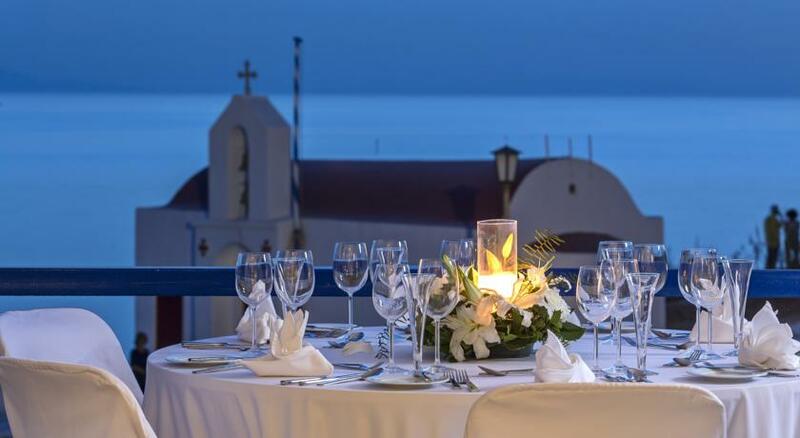 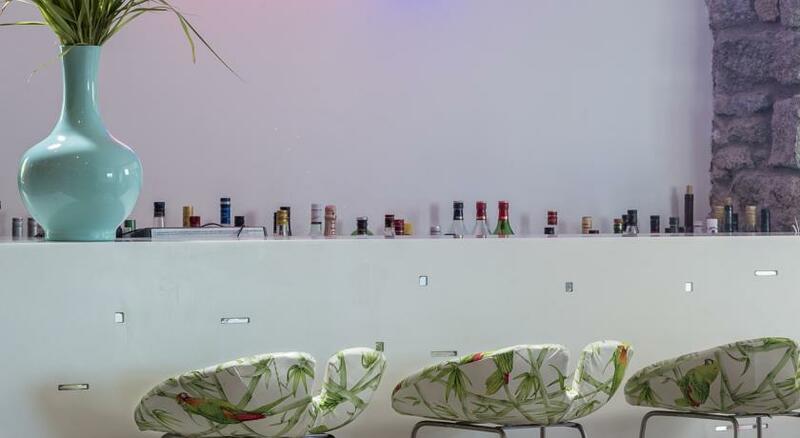 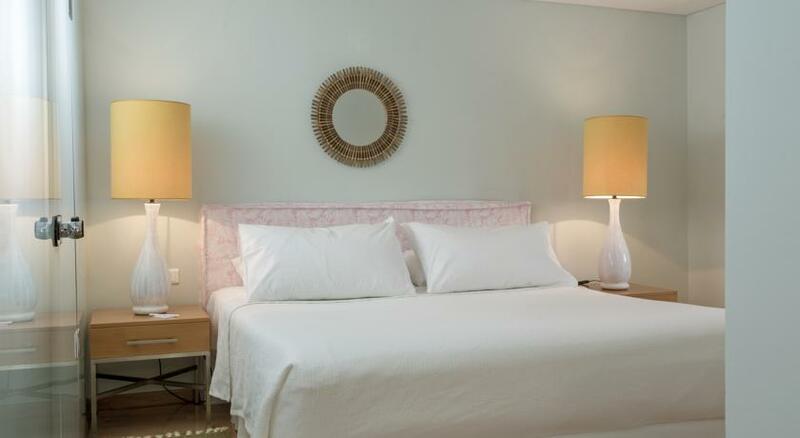 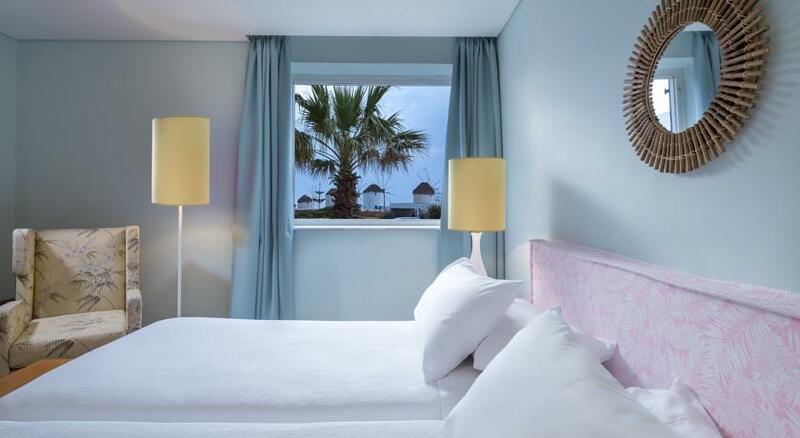 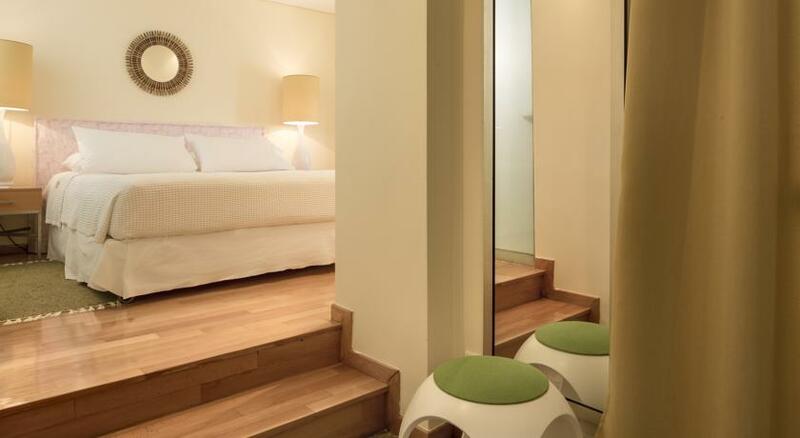 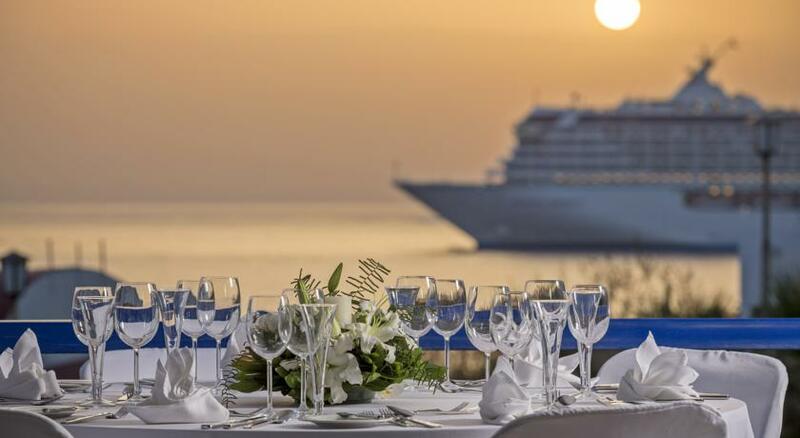 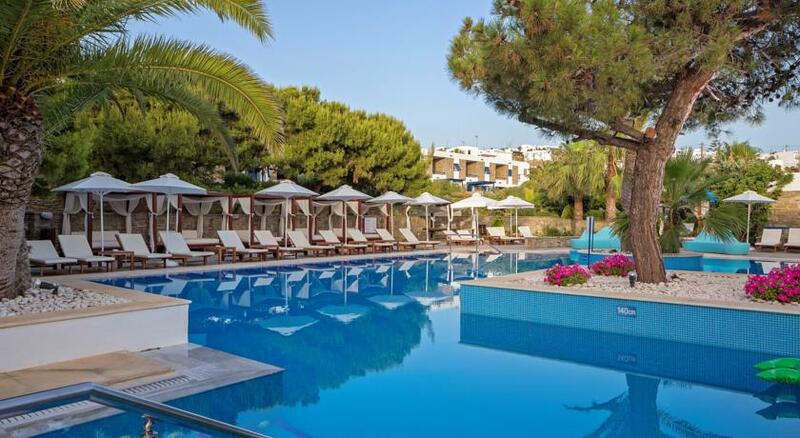 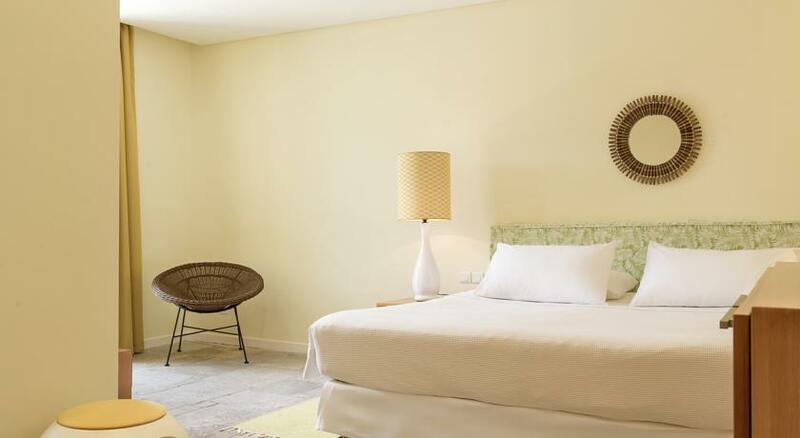 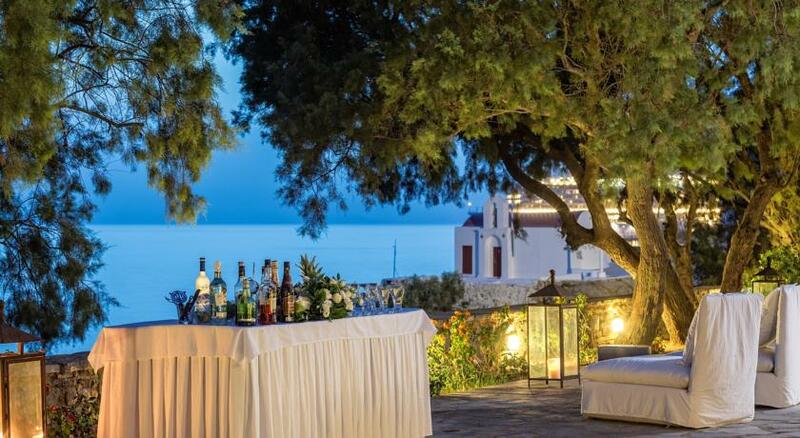 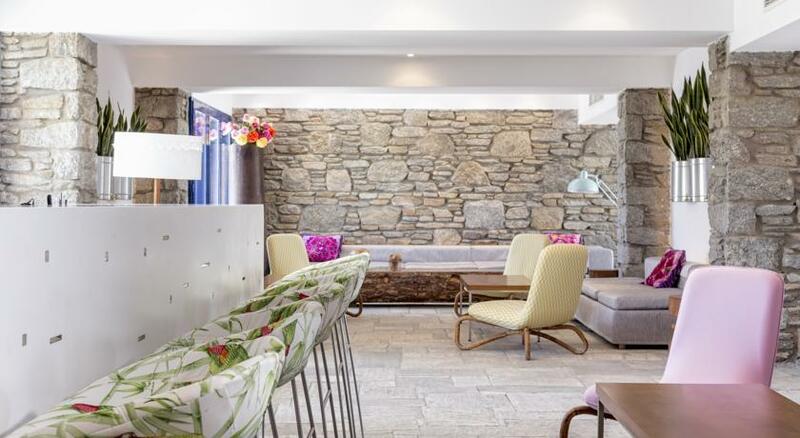 The hotel has ranged among the top cosmopolitan locations on the island for over forty years. 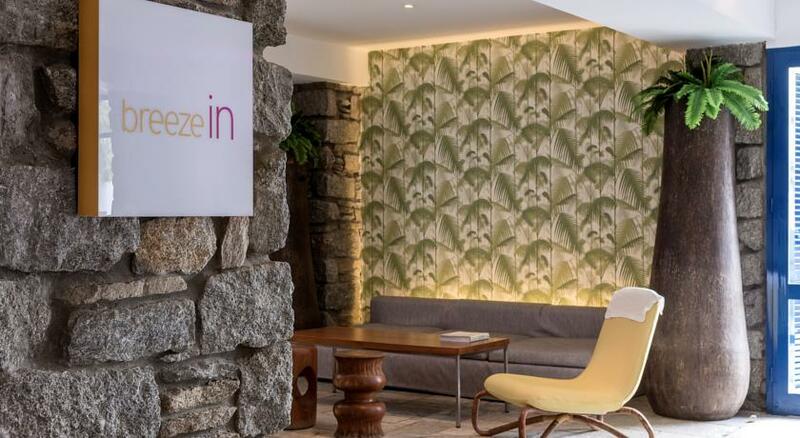 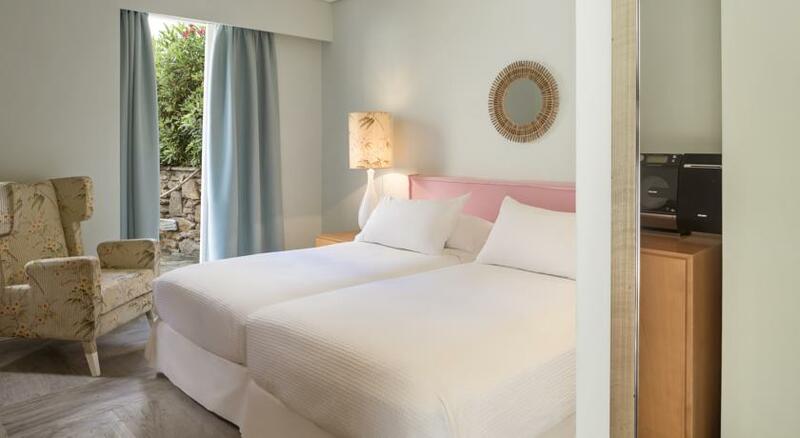 The unique exterior has recently been renovated and complemented by a discreetly luxurious 60s glam interior-design makeover, recreating the hotel’s original strong identity while communicating a powerfully modern design statement. 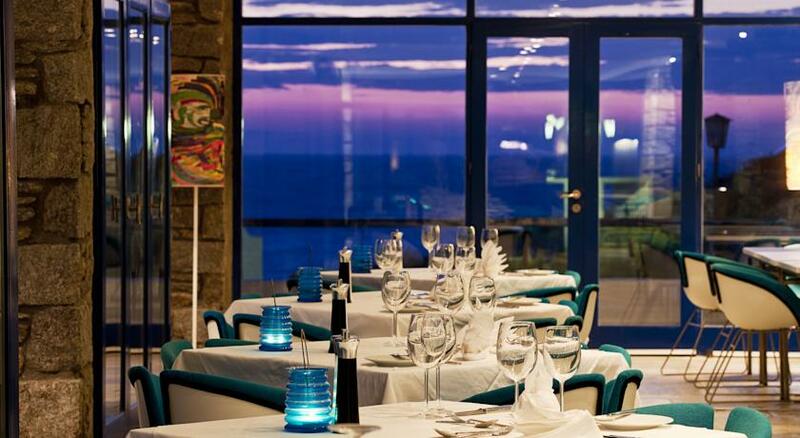 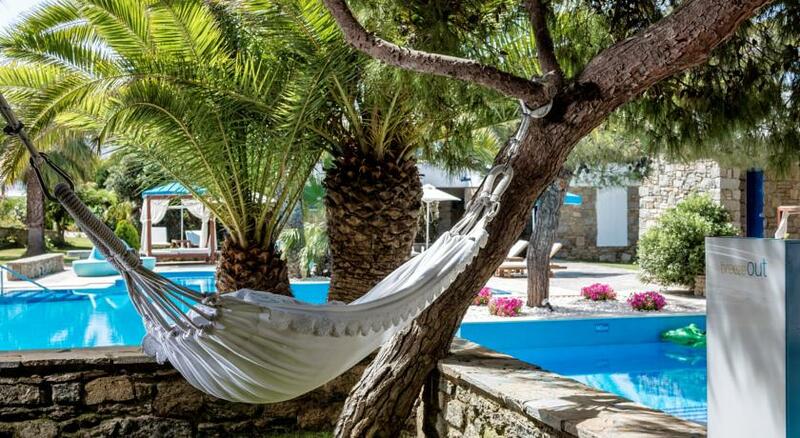 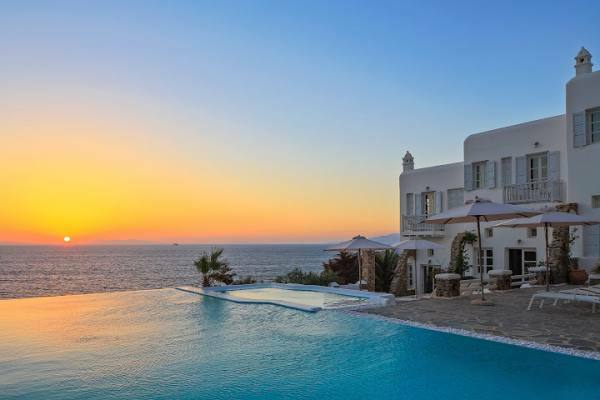 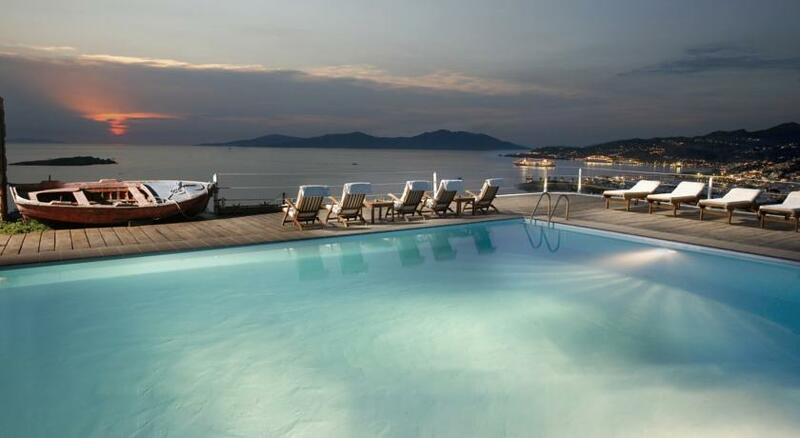 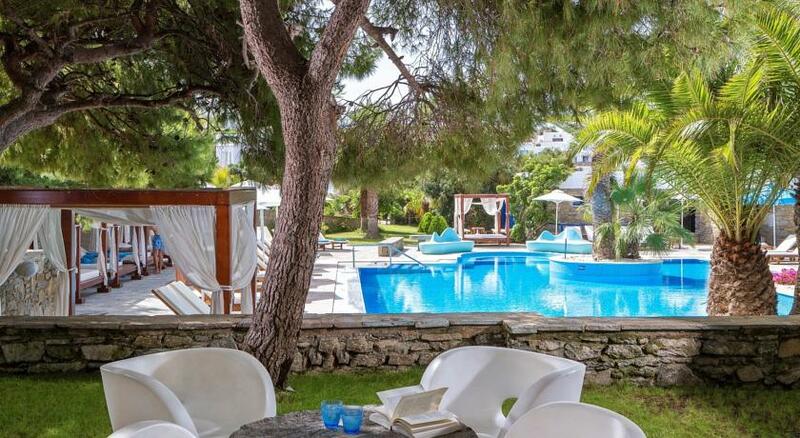 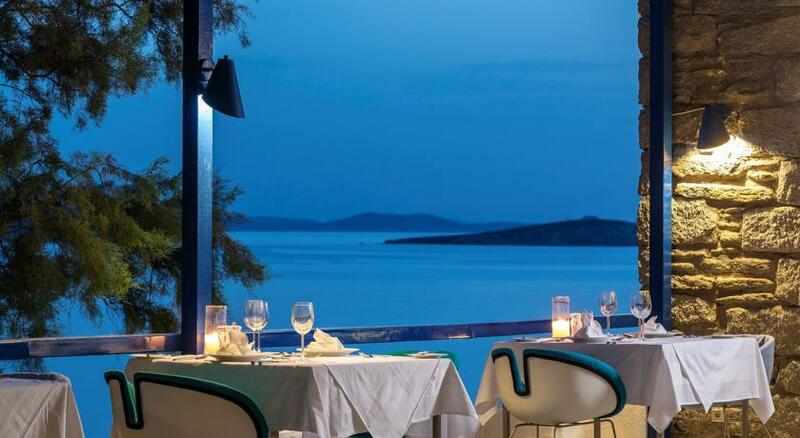 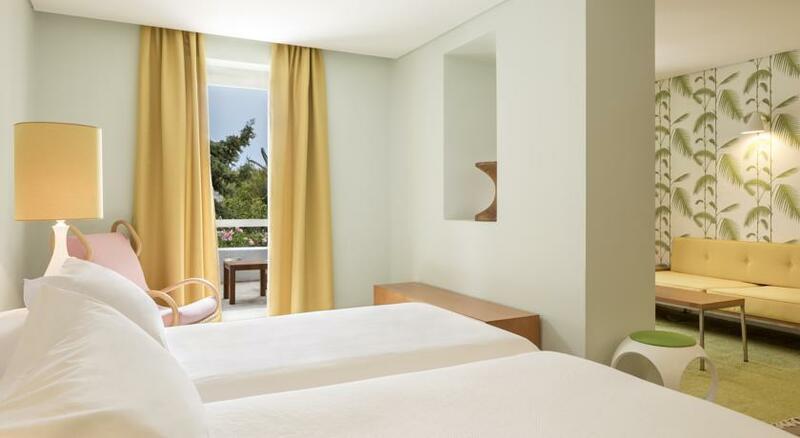 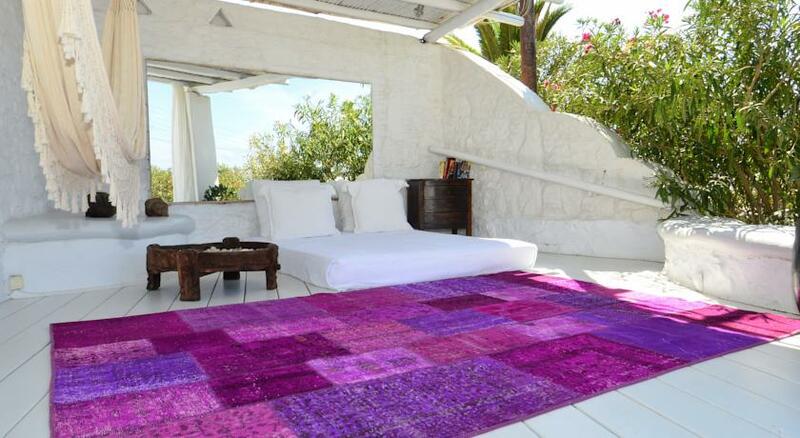 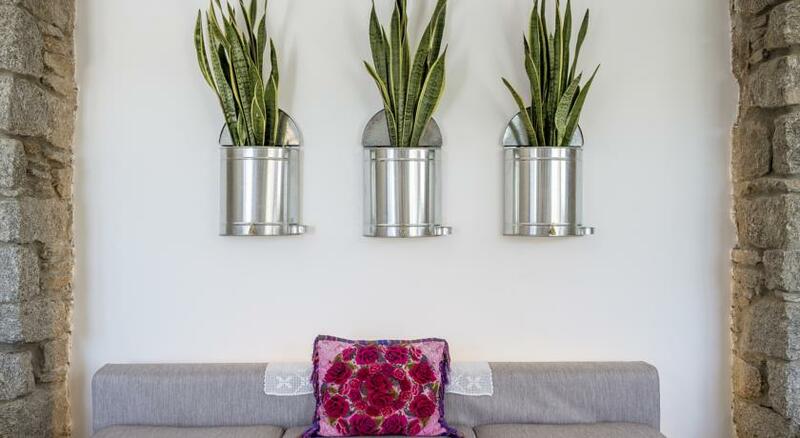 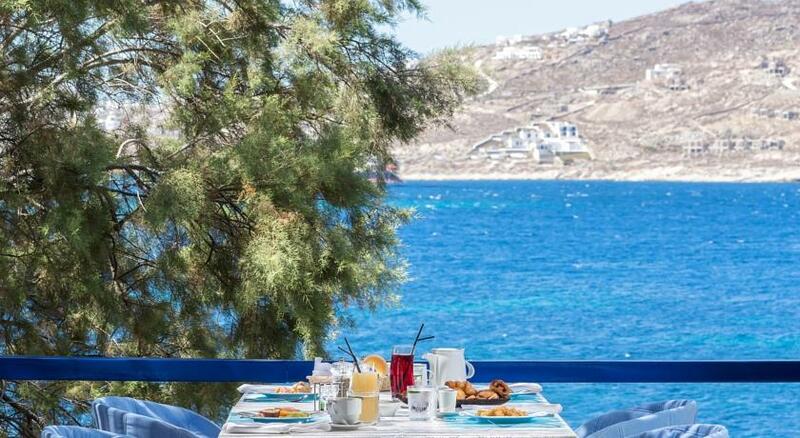 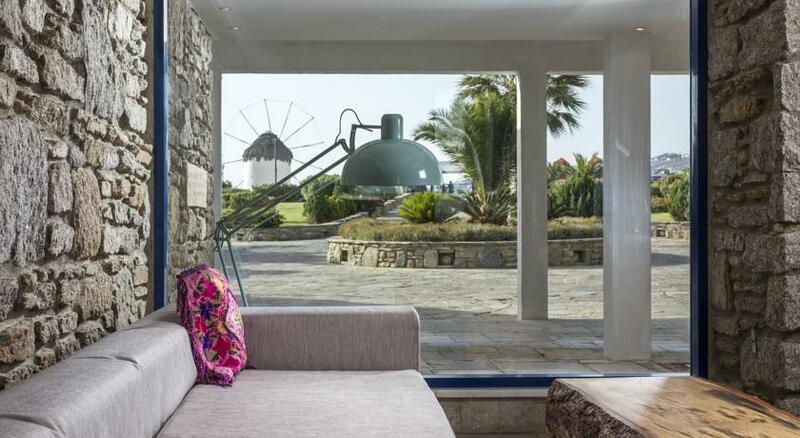 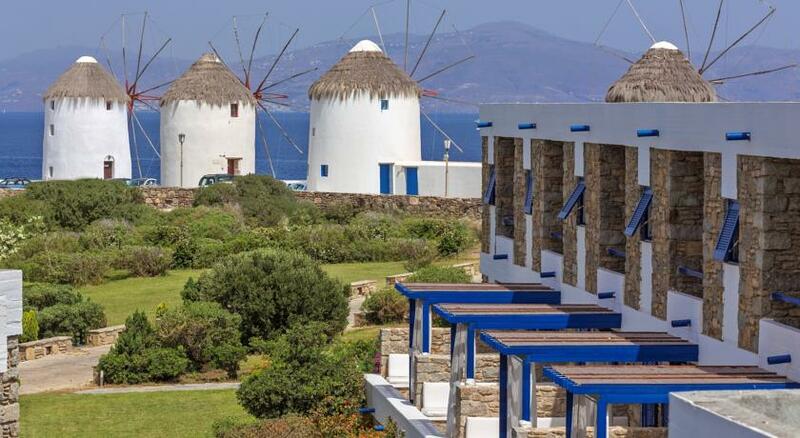 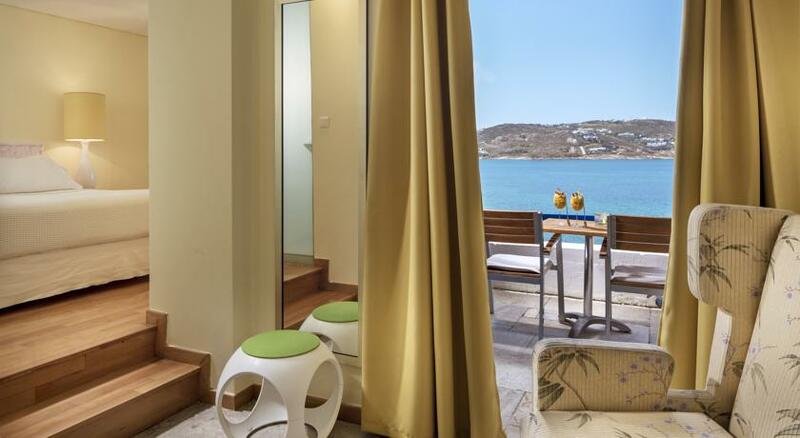 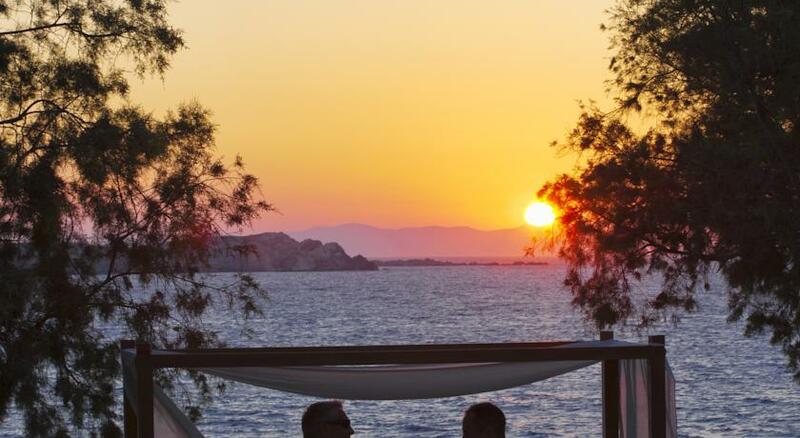 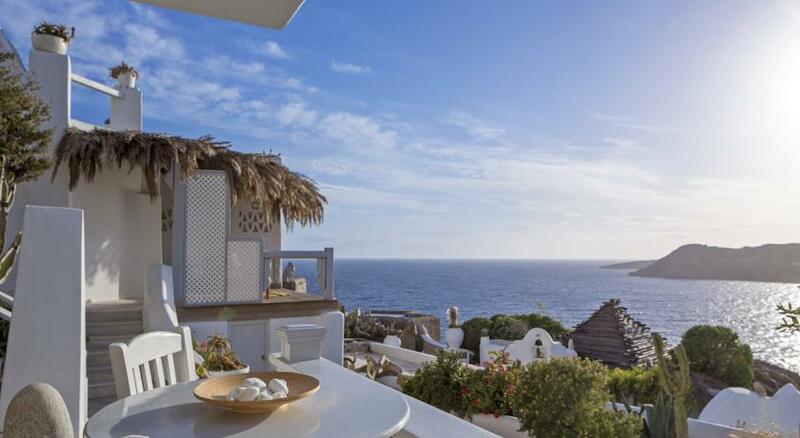 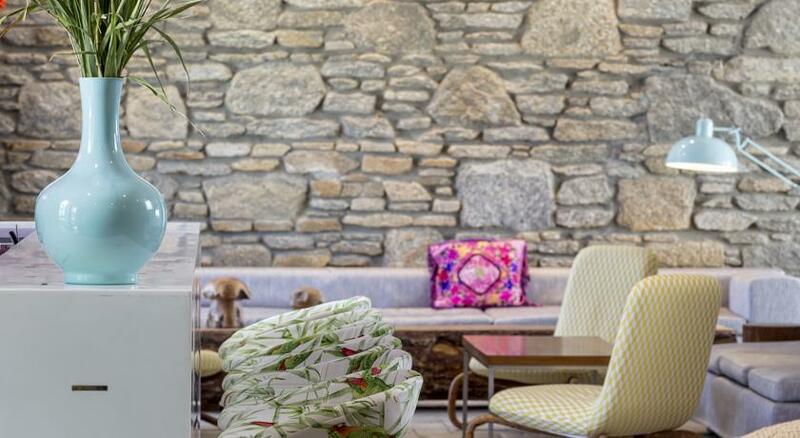 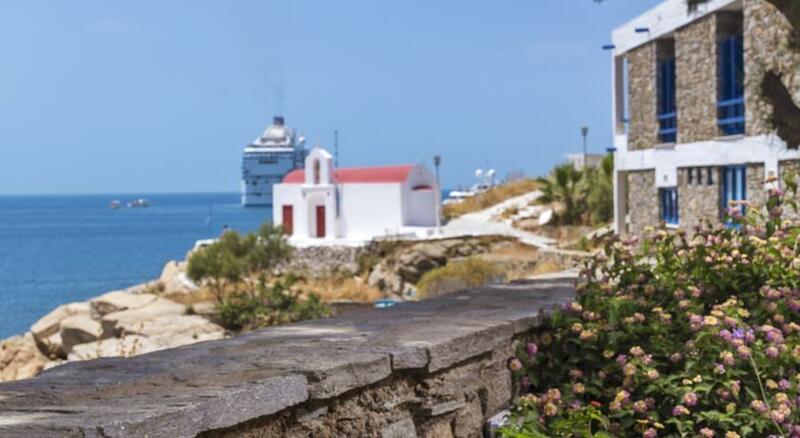 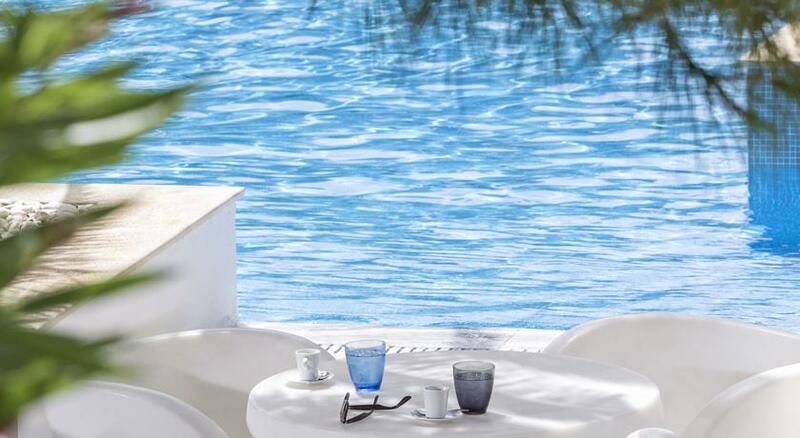 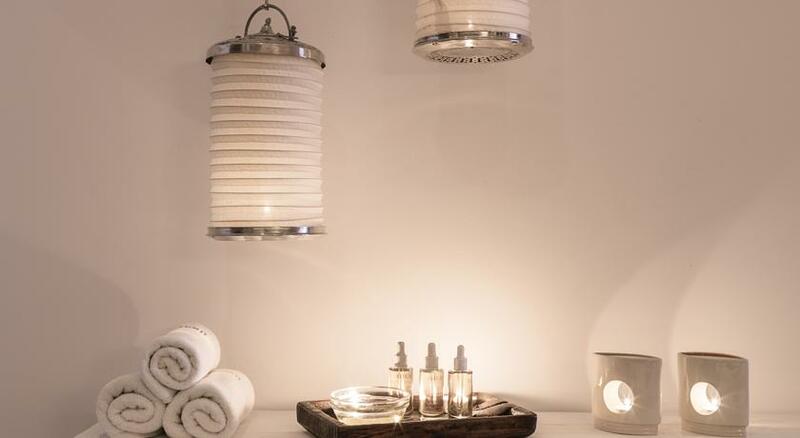 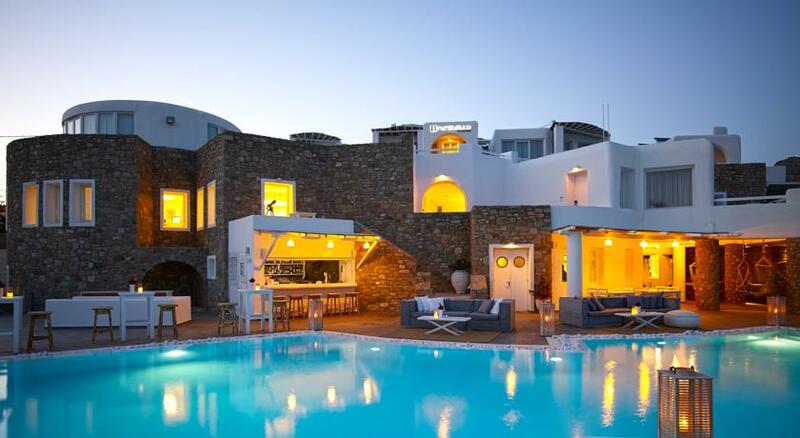 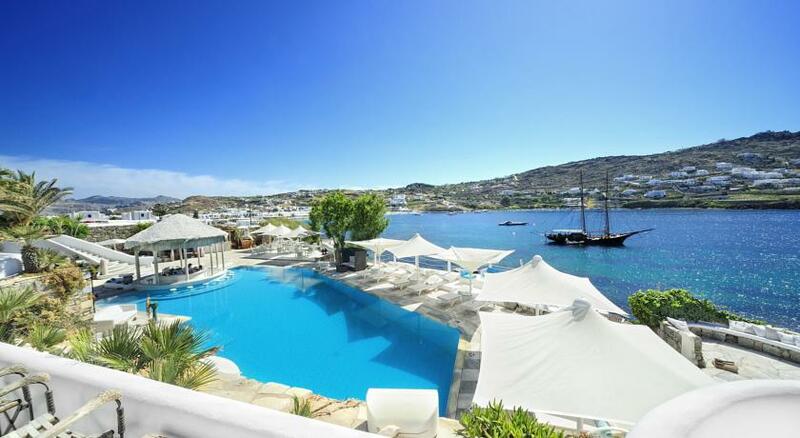 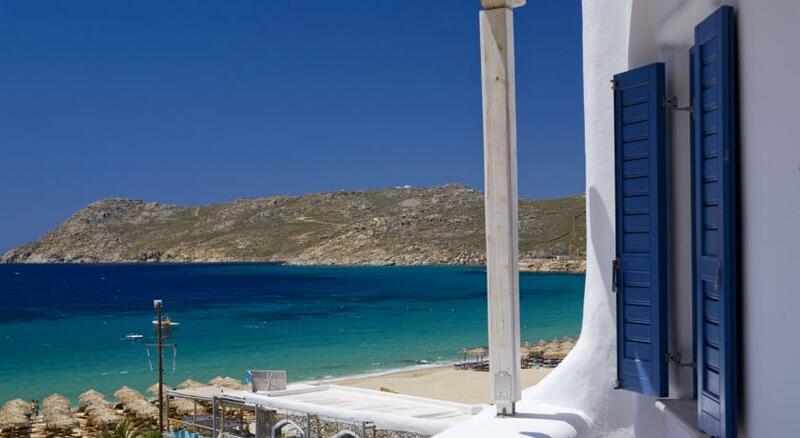 Mykonos Theoxenia set on the sea front amidst landscaped gardens is a sensual world of its own.